Recognize their contributions with these personalized awards! Honor an employee or an organization for their outstanding contribution. Crystal award features a unique, twisted pyramid shape. 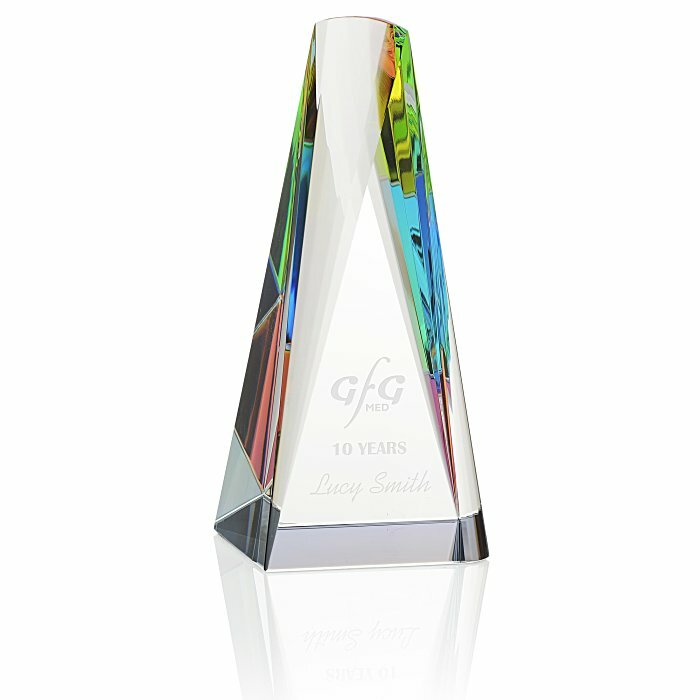 It’s designed with long beveled sides that cast colorful reflections. Personalization is available for no extra charge. Each award is packaged in a professional gift box with protective packaging. Size: 6" x 2-3/4" x 2-3/4". Your price includes a deep-etched imprint on the front of the award. * Excludes art preparation time, applies only to orders of 32 items or fewer.